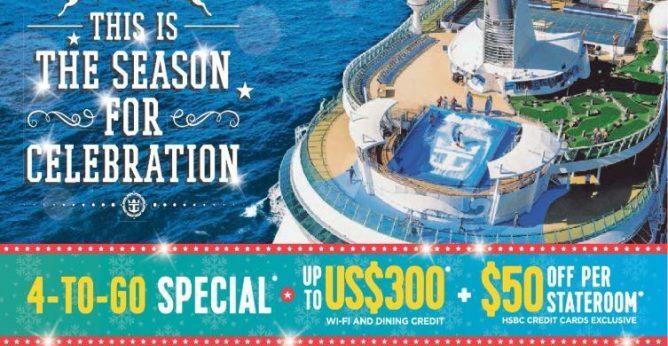 Celebrate Christmas and Chinese New Year on Royal Caribbean Cruises! Enjoy their 4-to-go special offers with up to USD300 Wi-Fi and dining credit + $50 per stateroom (HSBC Credit Cards Exclusive)! 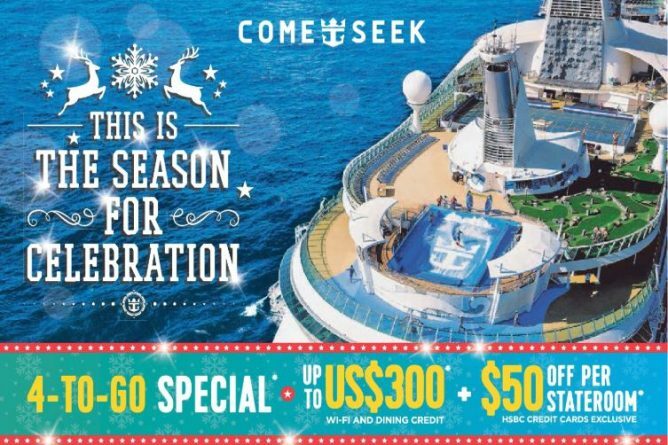 Call 6305 0033 for more information or to book your cruises today! T&Cs apply. 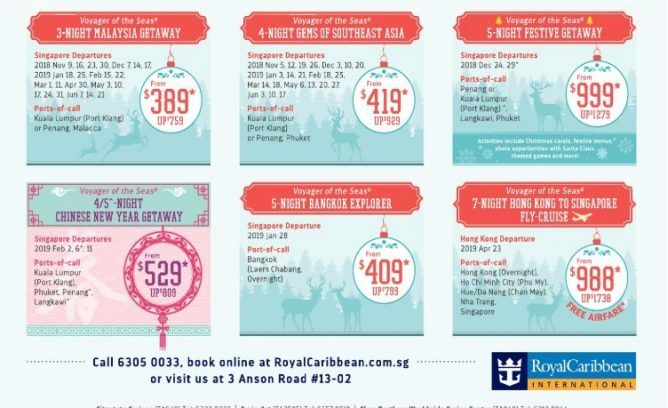 Call 6305 0033, or book online at RoyalCaribbean.com.sg. Previous: OG Singapore: Happy Deepavali 20% OFF Storewide on Most Brands’ Regular-Priced Items!